Honors. To view the current calendar, click here. * Homework: Have a safe and enjoyable Summer Break! See you August 17th! * MLK Schoology: No reading assignment. * Mental Floss: No reading assignment. ​* MLK Schoology: No reading assignment. * Take Unit #6 MC Test. * Take Unit #6 Blue Book Exam. * Blue Book Exam scores will be posted to Power School in two weeks. ​* Homework: Work on Unit #6 re-assessment (due Mon., May 15th). * Homework: Work on "Rocky Packet" (due by the end of the period Tues., May 16th). * MLK Schoology: Read pages #514-523 (The Obama Presidency) by Wednesday. * MLK Schoology: Read pages #514-523 (The Obama Presidency) by tomorrow. * NOTE: Happy Cinco de Mayo! ​* Homework: Study for Unit #6 MC Test (Monday) and Blue Book Exam Test (Tuesay). * NOTE: Due to the State Testing schedule last week, all classes are at different points in the unit. This will be rectified by Wednesday. Please look for your specific class period. * Per. #2 = U.S. of Awesome - Finish Discussion #7 (The Guy After the Guy - Bush #1 Years) and begin Discussion #8 (It's the Economy, Stupid! - The Clinton Years). * Per. #4 = U.S. of Awesome - Finish Discussion #8 (It's the Economy, Stupid! - The Clinton Years). * Per. #5 = U.S. of Awesome - Finish Discussion #8 (It's the Economy, Stupid! - The Clinton Years). * Per. #8 = U.S. of Awesome - Finish Discussion #7 (The Guy After the Guy - Bush #1 Years) and begin Discussion #8 (It's the Economy, Stupid! - The Clinton Years). ​​* Per. #2 and #8 = During discussion (over pages #29-37), check your answers for EQ 6.14 (All); EQ 6.15 (All); EQ 6.16 (All); EQ 6.17 (All); EQ 6.18 (Part i); EQ 6.19 (Part a); EQ 6.33 (Part a). ​​​​* Per. #2, #4, #5, and #8 = During discussion (over pages #37-44), check your answers for EQ 6.19 (All); EQ 6.20 (All). ​​* Homework (for Periods #4 and #5): Review pages #37-44 of your Unit #6 Notes for tomorrow and answer EQ 6.19 (All); EQ 6.20 (All). * MLK Schoology: Read pages #500-504 (Bush's Global Challenges) by Thursday. * Mental Floss: Read Chapter #10 (pages #357-393) by this Wednesday. * Per. #2 = U.S. of Awesome - Finish Discussion #8 (It's the Economy, Stupid! - The Clinton Years). * Per. #4 = Work on Blue Book question. * Per. #5 = Work on EQs and/or Music Packet. * Per. #8 = U.S. of Awesome - Finish Discussion #8 (It's the Economy, Stupid! - The Clinton Years). ​​​* Per 2. and #8 = During discussion (over pages #37-44), check your answers for EQ 6.19 (All); EQ 6.20 (All). ​* Homework (all Periods): No pages to review, but try to answer EQ 6.21 (All). * Mental Floss: Read Chapter #10 (pages #357-393) by tomorrow. * NOTE: All classes are now in the same spot in the unit. ​* Homework: Review pages #45-54 of your Unit #6 Notes for tomorrow and answer EQ 6.23 (All); EQ 6.24 (Part a). * MLK Schoology: Read pages #500-504 (Bush's Global Challenges) by tomorrow. * Homework: ​Review pages #55-59 of your Unit #6 Notes for tomorrow and answer EQ 6.24 (Part b); EQ 6.25 (All). * MLK Schoology: Read pages #505-509 (Focusing on Afghanistan and Iraq) by tomorrow. ​* Homework: ​Review pages #60-68 of your Unit #6 Notes for Monday and answer EQ 6.24 (Parts c, d, e, f); EQ 6.26 (All); EQ 6.33 (Part c). * MLK Schoology: Read pages #510-513 (Domestic Challenges) by Monday. * NOTE: We are on the State Testing schedule this week. ​​* CLICK HERE FOR A STATE HISTORY TEST REVIEW! * NOTE: All classes meet today. * Per. #2 = U.S. of Awesome - Finish watching Rocky 4; "History vs. Hollywood" seminar. * Per. #4 = U.S. of Awesome - Finish watching Rocky 4; "History vs. Hollywood" seminar. * Per. #5 = U.S. of Awesome - Finish watching Rocky 4; "History vs. Hollywood" seminar. * Per. #8 = U.S. of Awesome - Finish watching Rocky 4; "History vs. Hollywood" seminar. ​​* During the activity, answer EQ 6.12 (All). ​* Homework (all Periods): No pages to review, but try to answer EQ 6.12 (All). * MLK Schoology: Read pages #473-477 (The End of the Cold War) by Wednesday. * Mental Floss: Read Chapter #10 (pages #357-393) by Wed., April 26th. * NOTE: Only Periods #2, #4, #5, and #8 have history class today. * Per. #2 = U.S. of Awesome - Discussion #6: The Top 10 Songs of the 1980s (Part II). * Per. #8 = U.S. of Awesome - Discussion #6: The Top 10 Songs of the 1980s (Part I). ​​* Per. #2 and #8 = During the activity, answer EQ 6.12 (All). ​* Homework (for Periods #4 and #5): Review pages #29-37 of your Unit #6 Notes for tomorrow and answer EQ 6.14 (All); EQ 6.15 (All); EQ 6.16 (All); EQ 6.17 (All); EQ 6.18 (Part i); EQ 6.19 (Part a); EQ 6.33 (Part a). ​* Homework (for Period #8): No pages to review, but try to answer EQ 6.12 (All). * MLK Schoology: Read pages #473-477 (The End of the Cold War) by tomorrow. ​​​* CLICK HERE FOR A STATE HISTORY TEST REVIEW! * NOTE: Only Periods #4, #5, and #8 have history class today. * Per. #4 = U.S. of Awesome - Discussion #7: The Guy After the Guy - Bush #1 Years. * Per. #5 = U.S. of Awesome - Discussion #7: The Guy After the Guy - Bush #1 Years. * Per. #8 = U.S. of Awesome - Discussion #6: The Top 10 Songs of the 1980s (Part II). ​​* Per. #4 and #5 = During discussion (over pages #29-37), check your answers for EQ 6.14 (All); EQ 6.15 (All); EQ 6.16 (All); EQ 6.17 (All); EQ 6.18 (Part i); EQ 6.19 (Part a); EQ 6.33 (Part a). ​* Homework (for Period #2): Review pages #29-37 of your Unit #6 Notes for tomorrow and answer EQ 6.14 (All); EQ 6.15 (All); EQ 6.16 (All); EQ 6.17 (All); EQ 6.18 (Part i); EQ 6.19 (Part a); EQ 6.33 (Part a). * MLK Schoology: Read pages #482-487 (The Clinton Years) by tomorrow. * NOTE: Only Periods #2, #4, and #5 have history class today. ​* Per. #2 = U.S. of Awesome - Discussion #7: The Guy After the Guy - Bush #1 Years. * Per. #4 = U.S. of Awesome - Discussion #8: It's the Economy, Stupid! - The Clinton Years. * Per. #5 = U.S. of Awesome - Discussion #8: It's the Economy, Stupid! - The Clinton Years. ​​* Per. #2 = During discussion (over pages #29-37), check your answers for EQ 6.14 (All); EQ 6.15 (All); EQ 6.16 (All); EQ 6.17 (All); EQ 6.18 (Part i); EQ 6.19 (Part a); EQ 6.33 (Part a). ​​​* Per. #4 and #5 = During discussion (over pages #37-44), check your answers for EQ 6.19 (All); EQ 6.20 (All). * Homework (for Period #8): ​Review pages #29-37 of your Unit #6 Notes for tomorrow and answer EQ 6.14 (All); EQ 6.15 (All); EQ 6.16 (All); EQ 6.17 (All); EQ 6.18 (Part i); EQ 6.19 (Part a); EQ 6.33 (Part a). * MLK Schoology: Read pages #488-491 (A New Wave of Immigration) by tomorrow. ​* NOTE: Only Periods #4, #5, and #8 have history class today. ​* Per. #2 = No history class scheduled today. * Per. #8 = U.S. of Awesome - Discussion #7: The Guy After the Guy - Bush #1 Years. ​​* ​​Per. #8 = During discussion (over pages #29-37), check your answers for EQ 6.14 (All); EQ 6.15 (All); EQ 6.16 (All); EQ 6.17 (All); EQ 6.18 (Part i); EQ 6.19 (Part a); EQ 6.33 (Part a). ​* Homework (for Periods #2 and #8): Review pages #37-44 of your Unit #6 Notes for Monday and answer EQ 6.19 (All); EQ 6.20 (All). * Homework (for Periods #4 and #5): No homework assignment. * MLK Schoology: Read pages #492-495 (Technology and Globalization) by Monday. * NOTE: We are on the A.I.R. Testing schedule this week. * Per. #2 = U.S. of Awesome - Discussion #5: Saved By a B-Lister - The Reagan Years. * Per. #4 = U.S. of Awesome - Discussion #5: Saved By a B-Lister - The Reagan Years. * Per. #5 = U.S. of Awesome - Discussion #5: Saved By a B-Lister - The Reagan Years. ​​* Per. #2, #4, and #5 = During discussion (over pages #23-28), check your answers for EQ 6.09; EQ 6.10 (All); EQ 6.11 (All); EQ 6.18 (Part h); EQ 6.32 (Part d). ​* Homework (for Periods #2, #4, and #5): No pages to review, but try to answer EQ 6.12 (All). ​* Homework (for Period #8): Review pages #23-28 of your Unit #6 Notes for tomorrow and answer EQ 6.09; EQ 6.10 (All); EQ 6.11 (All); EQ 6.18 (Part h); EQ 6.32 (Part d). * Mental Floss: Read Chapter #9 (pages #315-354) by Mon., April 17th. * Per. #4 = U.S. of Awesome - Discussion #6: The Top 10 Songs of the 1980s (Part I). * Per. #5 = U.S. of Awesome - Discussion #6: The Top 10 Songs of the 1980s (Part I). * Per. #8 = U.S. of Awesome - Discussion #5: Saved By a B-Lister - The Reagan Years. ​​* Per. #4 and #5 = During the activity, answer EQ 6.12 (All). ​​* Per. #8 = During discussion (over pages #23-28), check your answers for EQ 6.09; EQ 6.10 (All); EQ 6.11 (All); EQ 6.18 (Part h); EQ 6.32 (Part d). * MLK Schoology: Read pages #469-472 (Life in the 1980s) by tomorrow. ​* NOTE: Only Periods #2, #4, and #5 have history class today. * Per. #2 = U.S. of Awesome - Discussion #6: The Top 10 Songs of the 1980s (Part I). * Per. #4 = U.S. of Awesome - Discussion #6: The Top 10 Songs of the 1980s (Part II). * Per. #5 = U.S. of Awesome - Discussion #6: The Top 10 Songs of the 1980s (Part II). ​​* Per. #2, #4, and #5 = During the activity, answer EQ 6.12 (All). ​* Homework (for Periods #2, #4, #5, and #8): No pages to review, but try to answer EQ 6.13 (Part b); EQ 6.18 (Part h). ​* NOTE: All classes meet today. * Homework (for Periods #2, #4, #5, and #8): No pages to review for Monday, by try to answer EQ 6.13 (Part b); EQ 6.18 (Part h). * Homework (for Period #8): No pages to review, by try to answer EQ 6.12 (All). * U.S. of Awesome - Discussion #1: 1968 - The Year That Changed America (pages #1-8) in Unit #6 Notes). ​* Homework: Review pages #9-12 of your Unit #6 Notes for tomorrow and answer EQ 6.02 (All); EQ 6.03 (All); EQ 6.18 (Part e); EQ 6.32 (Part a). * MLK Schoology: Read pages #434-442 (The Nixon Administration, The Watergate Scandal) by tomorrow. * U.S. of Awesome - Discussion #2: America Hits Rock Bottom - The Nixon Years (pages #9-12) in Unit #6 Notes). * Homework: Review pages #13-23 of your Unit #6 Notes for tomorrow and answer EQ 6.04; EQ 6.05 (All); EQ 6.06 (All); EQ 6.18 (Parts f, g); EQ 6.32 (Parts b, c). * MLK Schoology: Read pages #443-446 (Ford and Carter) by tomorrow. ​* Homework: No pages to review, but try to answer EQ 6.07 (All). * MLK Schoology: Read pages #447-451 (New Approaches to Civil Rights) by tomorrow. * MLK Schoology: Read pages #452-455 (Environmentalism) by tomorrow. ​* Homework: Review pages #23-28 of your Unit #6 Notes for Monday and answer EQ 6.09; EQ 6.10 (All); EQ 6.11 (All); EQ 6.18 (Part h); EQ 6.32 (Part d). * MLK Schoology: Read pages #460-468 (The New Conservatism, The Reagan Years) by Monday. * NOTE: Faith's Spirit Week - Favorite Jersey/T-Shirt Day; bring your change and donations to help decide the new Principal! ​* Revisit Dr. Hartnell's "The Best Conspiracies... EVER!" packet and discuss. * Research and discuss the various conspiracies (for fun - not an assignment). ​* You may also elect to work on your EQs (which are due THIS Thursday). ​* Homework: Work on Unit #5 re-assessment. * NOTE: Faith's Spirit Week - Students Dress Like Teachers & Teachers Dress Like Students; bring your change and donations to help decide the new Principal! * Conspiracy Week - Day #2!!! ​* NOTE: Faith's Spirit Week - Costume/Character Day; bring your change and donations to help decide the new Principal! * Conspiracy Week - Day #3!!! ​* You may also elect to work on your EQs (which are due tomorrow). ​* Homework: Work on Unit #5 re-assessment (due tomorrow). ​* NOTE: Faith's Spirit Week - Beach Day; bring your change and donations to help decide the new Principal! * Conspiracy Week - Day #4!!! * NOTE: Faith's Spirit Week - Wear Blue For Faith Day; bring your change and donations to help decide the new Principal! * Conspiracy Week - Day #5!!! ​* Have a great (and safe) Spring Break! * U.S. Army Veteran Carl Roberts, grandfather of Elaine Sherrard, will be visiting our classes today to discuss his experience serving in the Vietnam War. Born and raised in Germantown, Ohio, he was the oldest of seven siblings. After graduating high school, he got a job working in the local steel mill (Armco Steel). He married in 1964 but was drafted into the U.S. Army in 1966 at the age of 23. He served in Vietnam from 1967-1968. We are very fortunate to have this amazing opportunity to speak with living history! ​* Homework: Study for Unit #5 Test. * Review for Unit #4 MC Test and Blue Book Exam. ​* Homework: Study for Unit #5 MC Test. * Homework: Study for Unit #5 Blue Book Exam. ​* Be sure to pick up your item analysis of Unit #5 Test so you can begin re-assessment. ​* Homework: Work on Unit #5 re-assessment (due NEXT Thurs., March 23rd). * NOTE: Happy St. Patrick's Day! * Take Unit #5 Blue Book Exam (that was scheduled for yesterday but moved to today because of shortened periods). * Homework: Work on Unit #5 re-assessment (due NEXT Thurs., March 23rd). * Mental Floss: Read Chapter #8 (pages #267-312) by Friday. * Mental Floss: Read Chapter #8 (pages #267-312) by tomorrow. * NOTE: Today is the last day for Dr. Hartnell to look at any Unit #5 Blue Book outlines! ​* Finish watching We Were Soldiers; conduct "History vs. Hollywood" seminar. ​* Homework: Study for your Unit #5 test (next Wednesday). * Watch clips from X; conduct "History vs. Hollywood" seminar. ​* Homework: No pages to review, by try to answer EQ 5.34 (All). * MLK Schoology: Read pages #367-371 (JFK and the Cold War) by tomorrow. * Mental Floss: Read Chapter #8 (pages #267-312) by Fri., March 10th. * ​Homework: Review pages #19-23 of your Unit #5 Notes for tomorrow and answer EQ 5.22 (All); EQ 5.23 (All); EQ 5.24 (All). * MLK Schoology: Read pages #372-375 (The Great Society) by tomorrow. * ​Homework: Review pages #24-29 of your Unit #5 Notes for tomorrow and answer EQ 5.25 (Parts a, b, c, e). * MLK Schoology: Read pages #400-405 (Going to War in Vietnam) by tomorrow. ​* Homework: No pages to review, by try to answer EQ 5.25 (Part d); EQ 5.26 (Part a). * MLK Schoology: Read pages #406-409 (Vietnam Divides the Nation) by tomorrow. * Watch clips from JFK; conduct "History vs. Hollywood" seminar. * Pass out Dr. Hartnell's "The Best Conspiracies... EVER!" packet and discuss. * During discussion, check your answers for EQ 5.25 (Part d); EQ 5.26 (Part a). * ​Homework: Review pages #30-33 of your Unit #5 Notes for Monday and answer EQ 5.01 (Part b); EQ 5.24 (All); EQ 5.26 (All); EQ 5.27 (All); EQ 5.28 (All); EQ 5.29 (All); EQ 5.30 (All); EQ 5.31 (All); EQ 5.32 (Parts a, b); EQ 5.33 (All). * MLK Schoology: Read pages #410-413 (The War Winds Down) by Monday. ​* Homework: Review pages #4-8 of your Unit #5 Notes for tomorrow and answer EQ 5.02 (Parts b, c, d, e); EQ 5.08 (Parts a, b, d, e); EQ 5.09 (All). * MLK Schoology: Read pages #386-391 (Challenging Segregation) by Tuesday. * ​Homework: Review pages #8-12 of your Unit #5 Notes for tomorrow and answer EQ 5.03 (All); EQ 5.04 (Part a); EQ 5.10 (All); EQ 5.11 (Parts a, b, c, d). * MLK Schoology: Read pages #392-395 (New Civil Rights Issues) by tomorrow. * ​Homework: Review pages #12-16 of your Unit #5 Notes for tomorrow and answer EQ 5.04 (Parts b, c, d); EQ 5.05 (Parts a, b); EQ 5.11 (Part e); EQ 5.12 (Parts c, d, e); EQ 5.13 (All); EQ 5.14 (All); EQ 5.15 (Part a), EQ 5.16 (All). * MLK Schoology: Read pages #418-425 (Students and the Counterculture, The Feminist Movement) by tomorrow. * ​Homework: Review pages #16-18 of your Unit #5 Notes for tomorrow and answer EQ 5.05 (Parts c, d); EQ 5.15 (Parts b, d, e); EQ 5.17 (All); EQ 5.18 (All); EQ 5.19 (All). * MLK Schoology: Read pages #426-429 (Latino Americans Organize) by tomorrow. * ​Homework: No pages to review, but try to answer EQ 5.14 (Parts a, b, c, d) for Monday. * MLK Schoology: Read pages #362-366 (The New Frontier) by Monday. * EQ Work Day #1. * Homework: Work on Unit #4 re-assessment (due THIS Thursday). ​* Homework: Review pages #1-2 of your Unit #5 Notes for Wednesday and answer EQ 5.01 (All). ​* MLK Schoology: Read pages #380-385 (The Movement Begins) by Thursday. ​* Homework: Review pages #1-2 of your Unit #5 Notes for tomorrow and answer EQ 5.01 (All). * Hand out Unit #5: The American Overhaul EQs and discuss. ​* Homework: Review pages #2-4 of your Unit #5 Notes for tomorrow and answer EQ 5.02 (Part a); EQ 5.06 (Parts b, c, d, e); EQ 5.07 (All). ​* MLK Schoology: Read pages #380-385 (The Movement Begins) by tomorrow. ​* NOTE: Parent-Teacher Conferences are tonight from 5:00-8:30. ​* Homework: Review pages #4-8 of your Unit #5 Notes for Tuesday and answer EQ 5.02 (Parts b, c, d, e); EQ 5.08 (Parts a, b, d, e); EQ 5.09 (All). * NOTE: Today is the last day for Dr. Hartnell to look at any Unit #4 Blue Book outlines! ​* King America - Discussion #19: World of Plenty thru End (page #85 in Unit #4 Notes). * Wrap up unit and review for Unit #4 MC Test and Blue Book Exam. * Homework: Study for Unit #4 MC Test. ​* Take Unit #4 MC Test. * ​Homework: Study for Unit #4 Blue Book Exam. ​* Be sure to pick up your item analysis of Unit #4 Test so you can begin re-assessment. * Homework: Work on Unit #4 re-assessment (due NEXT Thurs., Feb. 16th). * Homework: Complete DMM about A-Bomb and 1 topic of your choice (due tomorrow). * Homework: Review pages #73-74 of your Unit #4 Notes for tomorrow and answer EQ 4.21 (Part b); EQ 4.23; EQ 4.24 (Parts a, b). * MLK Schoology: Read pages #323-329 (The Early Cold War Years) by tomorrow. ​* King America - Discussion #15: Intro to the 1950s up to the Korean War (pages #73-74 in Unit #4 Notes). * MLK Schoology: Read pages #330-334 (The Cold War and American Society) by tomorrow. * MLK Schoology: Read pages #335-339 (Eisenhower's Cold War Policies) by tomorrow. * MLK Schoology: Read pages #344-348 (Truman and Eisenhower) by tomorrow. * Fabulous Fifties Culture Day #2 - The Culture! * After the activity, answer EQ 4.34 (Part d); EQ 4.35 (Parts b, c). * Homework: Review pages #81-84 of your Unit #4 Notes for Monday and answer EQ 4.24 (Parts c, d); EQ 4.33 (All). * MLK Schoology: Read pages #349-357 (The Affluent Society, The Other Side of American Life) by Monday. * Homework: Review pages #52-57 of your Unit #4 Notes for tomorrow and answer EQ 4.11 (Parts e, f); EQ 4.12 (Parts a, b); EQ 4.14 (Part d); EQ 4.15 (Part c). * NOTE: We are on the PM Assembly schedule today because of a Pep Rally. * Homework: Review pages #73-74 of your Unit #4 Notes for Tuesday and answer EQ 4.21 (Part b); EQ 4.23; EQ 4.24 (Parts a, b). * MLK Schoology: Read pages #323-329 (The Early Cold War Years) by Tuesday. * Homework: Review pages #30-34 of your Unit #4 Notes for tomorrow and answer EQ 4.07 (Part e); EQ 4.09 (Part f); EQ 4.13 (Part f); EQ 4.19 (Part d). * MLK Schoology: Read pages 308-313 (The War Ends) by Wednesday. * MLK Schoology: Read pages 308-313 (The War Ends) by tomorrow. * MLK Schoology: Read pages #318-322 (The Origins of the Cold War) by tomorrow. * MLK Schoology: Read pages #276-281 (The Holocaust) by tomorrow. * Mental Floss: Read pages #234-263 in Chapter #7 by Friday. * MLK Schoology: Read pages #271-275 (From Neutrality to War) by tomorrow. * Watch clips from Schindler's List; conduct "History vs. Hollywood" seminar. * MLK Schoology: Read pages #286-293 (Wartime America) by tomorrow. * MLK Schoology: Read pages #294-300 (The War in the Pacific) by tomorrow. * Mental Floss: Read pages #234-263 in Chapter #7 by tomorrow. * Homework: Review pages #30-34 of your Unit #4 Notes for Tuesday and answer EQ 4.07 (Part e); EQ 4.09 (Part f); EQ 4.13 (Part f); EQ 4.19 (Part d). * MLK Schoology: Read pages #301-307 (The War in Europe) by Tuesday. * Mental Floss: Read pages #234-263 in Chapter #7 by Fri., Jan. 13th. * Purge Day! Clean out, repair, and prepare binders for Second Semester. * Assign new seats and revisit AH1 EOCA results. * Hand out Unit #4: King America EQs and discuss. * Homework: Review pages #9-16 of your Unit #4 Notes for Monday and answer EQ 4.02; EQ 4.03 (Parts a, b, c, d, f); EQ 4.04. * MLK Schoology: Read pages #266-270 (The Origins of World War II) by Monday. ​* Homework: No assignments over Winter Break. Have a relaxing and safe holiday season! Classes will resume at Hartnell University on Wednesday, January 4th. * Work on EQs (due tomorrow) or AH1 EOCA Study Guide (due the day you take the final). Additional copies of the AH1 EOCA Study Guide can be downloaded by clicking here. * Homework: Work on Unit #3 re-assessment (due tomorrow). ​​* Homework: No reading assignment. * NOTE: All Unit #3 re-assessment is due today! * Hand out Dr. Hartnell's Holiday Survival Guide and discuss the history of Christmas, Hanukkah, Kwanzaa, why Santa Claus died years ago, and how to survive the in-laws. Then, sit back and enjoy a holiday cartoon special: Raging Rudolph! If you're lucky, Christmahanukwanzaadon may show up and bring you more holiday cheer! ​​​​​​* Homework: Work on outlines for Unit #3 Blue Book questions. ​* Review for Unit #3 MC Test and Blue Book Exam. * Homework: Study for Unit #3 MC Test. ​* Take Unit #3 MC Test. * Test scores will be posted to Power School by Friday. * ​Homework: Study for Unit #3 Blue Book Exam. * Blue Book Exam scores will be posted to Power School by next Friday. ​* Hand out Study Guide for District-mandated End of Course Assessment (EOCA). Additional copies of the AH1 EOCA Study Guide can be downloaded by clicking here. This Guide serves as your ENTRANCE TICKET to take the EOCA. No Guide = No Test... No Test = Repeat Course. ​* Return item analysis of Unit #3 Test. * Need a refresher on how re-assessment works? Click HERE! ​* EQ Work Day #1. * Homework: Work on Unit #3 re-assessment (due NEXT Tues., Dec. 13th). * During discussion, check your answers for EQ 3.17 (All); EQ 3.18; EQ 3.19 (All); EQ 3.20 (Parts a, b, d); EQ 3.21 (Parts a, b, c, e); EQ 3.22 (All); EQ 3.23 (All). * Homework: Review pages #35-46 of your Unit #3 Notes for tomorrow and answer EQ 3.21 (Part d). ​​​​* Homework: Work on outlines for Unit #3 Blue Book questions. * MLK Schoology: Read pages #232-243, #248-261 (The Causes of the Great Depression, Life During the Great Depression, Hoover's Response to the Depression, The First New Deal, The Second New Deal, The New Deal Coalition) by Dec. 5th. * Mental Floss: Read the first part of Chapter #7 (pages #227-234) by Dec. 5th. ​* Nutty: Read these sections for Wednesday: Prohibition and Mafia. * Homework: Buy "HARTNELL UNIVERSITY" apparel and raise money for Caring & Sharing. To download an order form, click here. Orders are due tomorrow! * During discussion, check your answers for EQ 3.21 (Part d). ​* Nutty: Read these sections for tomorrow: Prohibition and Mafia. ​​​​​* Homework: Work on outlines for Unit #3 Blue Book questions. ​* Nutty: Read this section for tomorrow: Great Depression. ​* Homework: Read this Nutty section for Monday: Econ 101. ​​* Homework: Read this Nutty section for Monday: Econ 101. * Watch clips from Flyboys; conduct "History vs. Hollywood" seminar. * Homework: Review pages #31-34 of your Unit #3 Notes for Monday, November 28th (after Thanksgiving) and answer EQ 3.17 (All); EQ 3.18; EQ 3.19 (All); EQ 3.20 (Parts a, b, d); EQ 3.21 (Parts a, b, c, e); EQ 3.22 (All); EQ 3.23 (All). ​​​* Homework: Work on outlines for Unit #3 Blue Book questions. * MLK Schoology: Read pages #200-203; #208-227 (The War's Impact, The Politics of the 1920s, A Growing Economy, A Clash of Values, Cultural Innovations, African American Culture and Politics) for Nov. 28th (after Thanksgiving). ​* Nutty: Read this section for Nov. 28th (after Thanksgiving): Roaring '20s. * Homework: Buy "HARTNELL UNIVERSITY" apparel and raise money for Caring & Sharing. To download an order form, click here. Orders are due Tues., Nov. 29th! * Hand out Unit #3: Ka-Boom to Bust EQs and discuss. ​* Homework: Work on outlines for Unit #3 Blue Book questions. * MLK Schoology: #184-199 (The United States Enters World War I, The Home Front, A Bloody Conflict) by Friday. * Mental Floss: Read Chapter #6 (pages #189-224) by Friday. ​​* Homework: Work on outlines for Unit #3 Blue Book questions. * Homework: Review pages #17-24 of your Unit #3 Notes for tomorrow and answer EQ 3.06 (Parts a, b, c, d); EQ 3.08; EQ 3.09 (All); EQ 3.10 (All). * MLK Schoology: #184-199 (The United States Enters World War I, The Home Front, A Bloody Conflict) by tomorrow. * Mental Floss: Read Chapter #6 (pages #189-224) by tomorrow. ​* Homework: Read this Nutty section for tomorrow: WWI Timeline. ​* Homework: Read this Nutty section for Nov. 28th (after Thanksgiving): Roaring '20s. 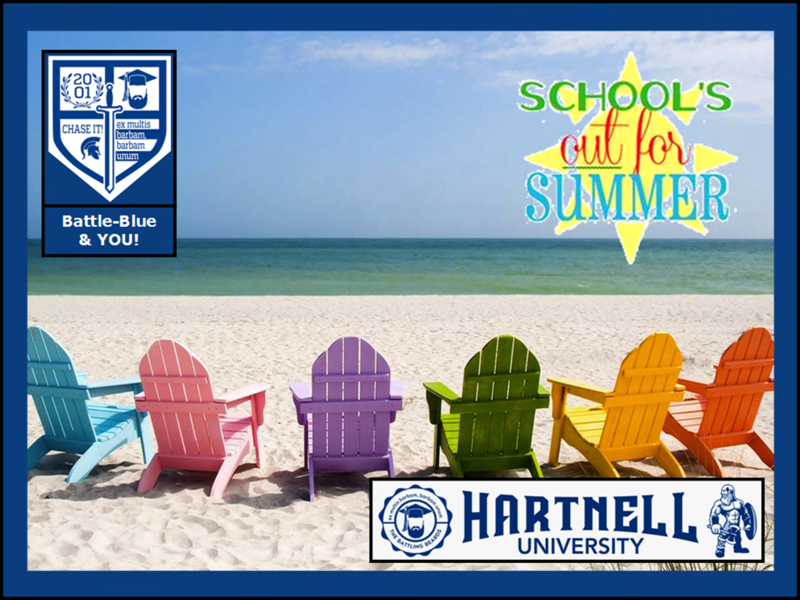 ​* Homework: Buy "HARTNELL UNIVERSITY" apparel and raise money for Caring & Sharing. To download an order form, click here. Orders are due Tues., Nov. 29th! * Discuss the results of the 2016 Election. * NOTE: Happy Veterans Day! * Discuss Veterans Day and Dr. Hartnell's "The Price of Freedom" Memorial Wall. * MLK Schoology: #184-199 (The United States Enters World War I, The Home Front, A Bloody Conflict) by Nov. 18th. * Mental Floss: Read Chapter #6 (pages #189-224) by Nov. 18th. * Nutty: Read this section for Tuesday: World War I. * Homework: Work on Unit #2 re-assessment (due this Wednesday). * Finish discussing Dr. Hartnell's Halloween Survival Guide and examine the history of Halloween - and how to survive a scary movie! * Homework: Work on Unit #2 re-assessment (due tomorrow). * NOTE: All Unit #2 re-assessment is due today! * Begin Dr. Hartnell's 2016 Election Extravaganza: Is he really running for President? * Continue Dr. Hartnell's 2016 Election Extravaganza: What's the Electoral College? * Continue Dr. Hartnell's 2016 Election Extravaganza: What are the big issues? Students will use the website I Side With to find out which candidate's views are the most in line with their own. * Take Unit #2 Multiple Choice Test. * Multiple Choice Test scores will be posted to Power School by the end of the day. * Homework: Check how you did by visiting Power School. ​* Homework: Study for Unit #2 Blue Book Exam. * Homework: Work on Unit #2 re-assessment (due Wed., Nov. 2nd). * Return item analysis of Unit #2 Test. * Homework: Work on Unit #2 re-assessment. * EQ Work Day #2. * EQ Work Day #3. * America 2.0 - Discussion #9: Need for Reform up to Monopolies (pages #39-42 in Unit #2 Notes). * Homework: Review pages #43-49 of your Unit #2 Notes for tomorrow and answer EQ 2.24; EQ 2.27 (All); EQ 2.30 (All); EQ 2.31 (All); EQ 2.32. * Homework: Work on outlines for Unit #2 Blue Book questions. * America 2.0 - Discussion #10: Monopolies thru IWW (pages #43-49 in Unit #2 Notes). * Homework: Review page #50 of your Unit #2 Notes for tomorrow and answer EQ 2.28. * NOTE: Today is the last day for Dr. Hartnell to look at any Unit #2 Blue Book outlines! * America 2.0 - Discussion #11: The Progressive Era (Intro thru FDA). * Homework: Review pages #51-54 of your Unit #2 Notes for tomorrow and answer EQ 2.27 (All); EQ 2.29 (All); EQ 2.33 (All); EQ 2.34 (All); EQ 2.35 (All). * America 2.0 - Discussion #12: The Progressive Era (Re-cap FDA thru End). ​* Review for Unit #2 MC Test (on Monday) and Blue Book Exam (on Tuesday). * Homework: All 35 EQs have been covered in discussions or in the Nutty readings. Take time to review all 35 EQs in order to prepare for your Unit #2 Test on Monday. ​* Homework: Work on outlines for Unit #2 Blue Book questions. * Homework: Study for Unit #2 MC Test on Monday and Blue Book Exam on Tuesday. * Homework: Review pages #32-33 of your Unit #2 Notes for tomorrow and answer EQ 2.21. * MLK Schoology: Read pages #114-121 (Immigration, Urbanization) by tomorrow. * Homework: Review pages #32-33 of your Unit #2 Notes for tomorrow and answer EQ 2.21 if you did not have this done for today. * MLK Schoology: Read pages #92-109 (The Rise of Industry, The Railroads, Big Business, Unions) by tomorrow. * Homework: Review pages #34-38 of your Unit #2 Notes for tomorrow and answer EQ 2.16; EQ 2.17 (All); EQ 2.18; EQ 2.19 (All); EQ 2.20 (All); EQ 2.22 (All). * MLK Schoology: Read pages #122-137 (Social Darwinism and Social Reform, Politics of the Gilded Age) by Friday. * America 2.0 - Discussion #8: Immigration - Intro thru Present Date (pages #34-38 in Unit #2 Notes). * Homework: Review pages #39-43 of your Unit #2 Notes for Monday and answer EQ 2.23; EQ 2.25 (All); EQ 2.26; EQ 2.27 (All). * MLK Schoology: Read pages #122-137 (Social Darwinism and Social Reform, Politics of the Gilded Age) by tomorrow. * Watch clips from Gangs of New York; conduct "History vs. Hollywood" seminar. * Discuss treatment of immigrant groups THEN and NOW. * Homework: Review pages #39-42 of your Unit #2 Notes for Monday and answer EQ 2.23; EQ 2.25 (All); EQ 2.26; EQ 2.27 (All). * MLK Schoology: Read pages #162-179 (The Roots of Progressivism, Roosevelt and Taft, The Wilson Years) by Monday. * America 2.0 - Discussion #5: Frederick Jackson Turner thru Philippine-American War (pages #18-23 in Unit #2 Notes). * Mental Floss: Read Chapter #5 (pages #145-186) by Friday. * Nutty: Read these sections for tomorrow: Scramble for Africa and Scramble for Southeast Asia. * Mental Floss: Read Chapter #5 (pages #145-186) by tomorrow. * Homework: Review pages #24-31 of your Unit #2 Notes for Monday and answer EQ 2.05; EQ 2.07 (Parts d, e, f); EQ 2.13 (All); EQ 2.14; EQ 2.15. ​​* Homework: Work on outlines for Unit #2 Blue Book questions. * Nutty: Read these sections for Monday: Big Mac Imperialism, American Empire, and Fall of American Empire. * Hand out Unit #2: America 2.0 EQs and discuss. ​* America 2.0 - Discussion #1: Intro up to Imperialism thru the Ages (pages #1-4 in Unit #2 Notes). * Homework: Work on Unit #1 re-assessment (due Wednesday). * MLK Schoology: Read pages #80-87 (Farming the Plains) by tomorrow. * Mental Floss: Read Chapter #5 (pages #145-186) by Oct. 7th. * America 2.0 - Discussion #2: Imperialism thru the Ages thru Native American Genocide (pages #5-11 in Unit #2 Notes). * Homework: Work on Unit #1 re-assessment (due tomorrow). * Homework: Review pages #12-17 of your Unit #2 Notes for tomorrow and answer EQ 2.08. * MLK Schoology: Read pages #142-157 (The Imperialist Vision, The Spanish-American War, New American Diplomacy) by Monday. * Nutty: Read this section for tomorrow: Native American Mascots. * Homework: Review pages #18-23 of your Unit #2 Notes for Monday and answer EQ 2.06; EQ 2.07 (Part c); EQ 2.09; EQ 2.10; EQ 2.11 (All); EQ 2.12. * Nutty: Read this section for Monday: History's Biggest Empires. ​* MLK Schoology: Read pages #142-157 (The Imperialist Vision, The Spanish-American War, New American Diplomacy) by Monday. ​* Homework: Read this section for Monday: History's Biggest Empires. * Take Unit #1 Multiple Choice Test. * Homework: Study for Unit #1 Blue Book Exam. * Return item analysis of Unit #1 Multiple Choice Test. * Hand out "SBG Revolution" packet and discuss how re-assessment works. * Homework: Work on Unit #1 re-assessment (due Wed., Sept. 28th). * Homework: Work on Unit #1 re-assessment. ​* Homework: Review pages #1-4 of your Unit #2 Notes for Monday and answer EQ 2.01; EQ 2.02; EQ 2.03. * MLK Schoology: Read pages #80-87 (Farming the Plains) by Tuesday. * Nutty: Read this section for Monday: Age of Imperialism. ​​​* Homework: Work on outlines for Unit #1 Blue Book questions. ​* Mental Floss: No reading assignment. * Nutty: Read this section for tomorrow: Antebellum America. * NOTE: Today is the last day for Dr. Hartnell to look at any Unit #1 Blue Book outlines! ​* How'd We Get Here? - Discussion #13: Antebellum America up to Reconstruction (pages #56-62 in Unit #1 Notes). ​​​​* Homework: Work on outlines for Unit #1 Blue Book questions. * Homework: All 35 EQs have been covered in discussions or in the Nutty readings. Take time to review all 35 EQs in order to prepare for your Unit #1 MC Test on Monday. * Review for Unit #1 MC Test (on Monday) and Blue Book Exam (on Tuesday). * Homework: Study for Unit #1 MC Test on Monday and Blue Book Exam on Tuesday. ​* Homework: Work on outlines for Unit #1 Blue Book questions. * MLK Schoology: Read pages #4-69 (American History from 1492-1877) by Friday. ​* Mental Floss: Read Chapters #1-4 (pages #3-144) by Friday. * Nutty: Read these Nutty sections for tomorrow: Braveheart; 100 Years' War; Black Death; Renaissance; Who's Who? ; Dante's Inferno; Reformation; Martin Luther; King Henry VIII; and Counter Reformation. * Watch clips from Braveheart; conduct "History vs. Hollywood" seminar. * Nutty: Read these Nutty sections for tomorrow: Let's Colonize; Who's Who? ; Mother England; Native Americans; and European Colonialism. ​* Homework: Review pages #46-50 of your Unit #1 Notes for tomorrow and answer EQ 1.23; EQ 1.24 (All); EQ 1.25 (All); EQ 1.26 (All). * Nutty: Watch these Nutty section for tomorrow: SportsCenter's American Revolution, You Want a Revolution? ; Age of Enlightenment; and American Revolution. * Homework: Review pages #51-55 of your Unit #1 Notes for Monday. * MLK Schoology: Read pages #4-69 (American History from 1492-1877) by tomorrow. ​* Mental Floss: Read Chapters #1-4 (pages #3-144) by tomorrow. * Nutty: Read these Nutty section for Monday: American Government and 27 Amendments. * Distribute Dr. Hartnell's "Remember 9/11" handout. * Discuss 15th Anniversary of 9/11 terrorist attacks. * Watch ESPN documentary The Man in the Red Bandanna and earn your red bandanna this weekend by doing something for someone else. Spend the day on Sunday being a bit nicer to those around you. Hold open a door for someone in a hurry. Smile. Actually answer your phone when grandma calls. Hug your sister... and mean it. The gesture can be simple. Earn your red bandanna. * Homework: Review pages #51-55 of your Unit #1 Notes for Monday and answer EQ 1.27 (All); EQ 1.28; EQ 1.29. ​​* Homework: Work on outlines for Unit #1 Blue Book questions. ​* Nutty: Read these Nutty section for Monday: American Government and 27 Amendments. * MLK Schoology: Read pages #4-69 (American History from 1492-1877) by Sept. 9th. * Mental Floss: Read Chapters #1-4 (pages #3-144) by Sept. 9th. * Nutty: Read these sections for Wednesday: Rome; Roman Calendar; Numerals; Punic Wars; Julius Caesar; Christianity; Fall of Rome; and Fall of U.S.A.? * Nutty: Read these sections for tomorrow: Rome; Roman Calendar; Numerals; Punic Wars; Julius Caesar; Christianity; Fall of Rome; and Fall of U.S.A.? * Nutty: Read these sections for tomorrow: Middle Ages; Vikings; Feudalism; Magna Carta; Islam; and Crusades. * During discussion, check our answers for EQ 1.10 (Part c); EQ 1.13 (All); EQ 1.14 (Part a); EQ. 1.15. * Nutty: Read these sections for Tuesday: Braveheart; 100 Years' War; Black Death; Renaissance; Who's Who? ; Dante's Inferno; Reformation; Martin Luther; King Henry VIII; and Counter Reformation. * Discuss Blue Book questions, outlines, and how to be successful on this style of exam. ​* Mental Floss: Read Chapters #1-4 (pages #3-144) by Sept. 9th. * Homework: Bring in 6 Blue Books to donate to "The Cause". ​* MLK Schoology: Read pages #4-69 (American History from 1492-1877) by Sept. 9th. * Nutty: Read these sections for tomorrow: Why study history? ; Is history a lie? ; and Prehistory. ​* Homework: Have guardians send "Welcome" e-mail. * Nutty: Read these sections for tomorrow: Prehistory and Mesopotamia. * NOTE: Open House is tonight from 6:15-8:40! * Homework: Review pages #9-17 of your Unit #1 Notes for tomorrow and answer EQ 1.03 (Part d); EQ 1.04 (All); EQ 1.10 (Part a). * Homework: Work on outlines for Unit #1 Blue Book questions. * Nutty: Read these sections for tomorrow: Hammurabi; Judaism; Egypt; Hieroglyphics; and Mummies. * Nutty: Read these sections for tomorrow: India; Hinduism; Buddhism; China; Confucius; and Taoism. ​* NOTE: We are on the ﻿PM ﻿schedule today because of the Pep Assembly. * Nutty: Read these sections for Monday: Mesoamerica; Greece; Mythology; Trojan War; Persian Wars; and Alex the Great. * Welcome to Hartnell University! * Hand out "Acceptance Letter" and discuss "Guardian Welcome" e-mail. * Hand out The Mental Floss History of the United States: The (Almost) Complete and (Entirely) Entertaining Story of America by Erik Sass. This is a FREE copy for you to keep... even if you decide to drop the class next week! * Read "The True Story of the Three Little Pigs" as a class and discuss "viewpoints" in history. ​* Homework: Have guardians send Dr. Hartnell "Welcome" e-mail. * Nutty: Read these sections for Tuesday: Why study history? ; Is history a lie? ; and Prehistory. * It was summer. And you were happy.